It’s the middle of the night, in the cold, silent Namibian desert. 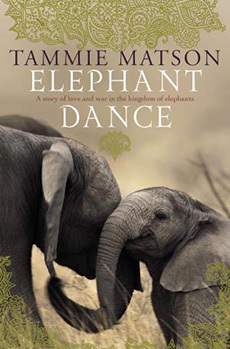 When zoologist Tammie Matson wakes with a start to find two elephants standing right beside her tiny one-man tent, just inches from her head, she makes a promise.‘If you just let me survive tonight I will give up Africa. I’ll give it all up. Just don’t let them stand on me.’ It’s not a promise she will easily keep. At 29, Tammie has spent nearly half her life in Africa working as a conservationist. Africa – with its big skies, extraordinary wildlife, and extreme experiences – is where she feels fully alive. 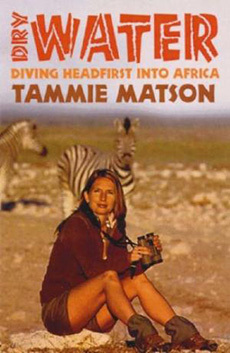 Africa is her first love, and Tammie has just landed her dream gig researching ways to resolve conflict between the exploding population of hungry, thirsty elephants stampeding through villages and terrorising the locals. But as her thirties approach Tammie is ever conscious of not having ticked those boxes: no house, no job, no kids and no husband. Broke and with her visa running out, it seems like Africa may just force her to give it up after all. Read review by Media Culture here and G-online here. Copyright © TammieMatson.com 2017. All rights reserved.